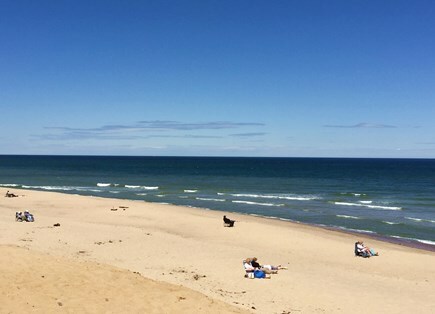 If you enjoy the National Seashore, bonfires on the ocean, sunsets on the bay, and a home with close proximity to all, then our family home is for you. 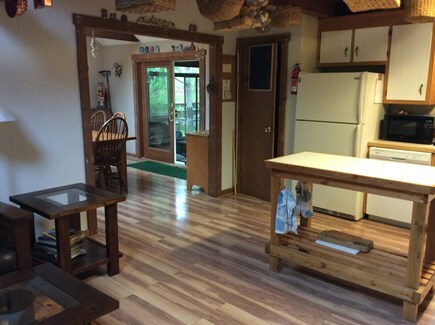 This home is on the road to the National Seashore beaches, a little over a mile from the ocean and the bay, yet in between them both, you have several freshwater lakes to enjoy as well. The home has an open floor plan going from the back screen porch through the dining room and open kitchen and family room. 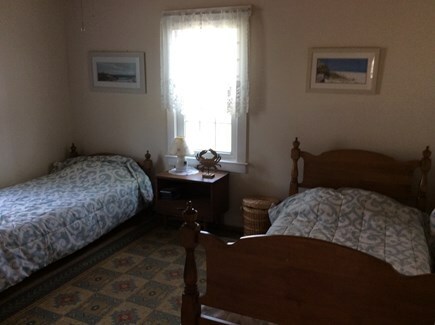 On this main level you have two bedrooms, one with a queen bed and another with two twins, the upstairs also has two bedrooms, one with a queen and another with two twins. 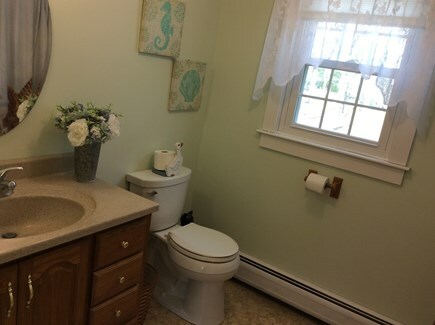 One bathroom is located on the main level and another on the second level. There is also an outside shower for rinsing off after a day at the beach. 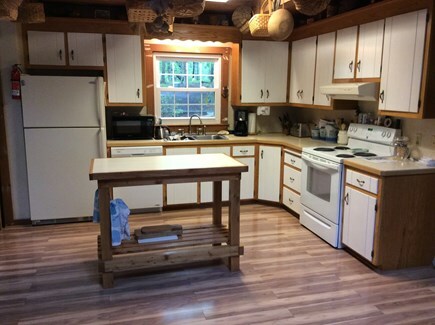 The kitchen is a full kitchen with a dishwasher, microwave and stove. 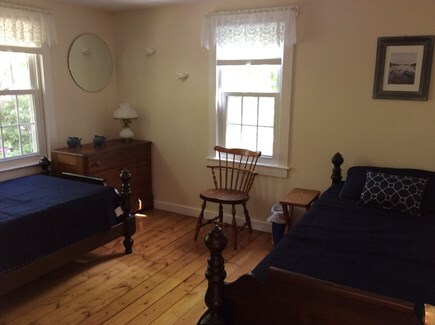 In the basement, you have access to a washer and dryer. 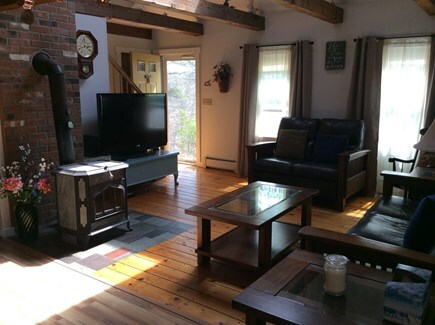 The home is equipped with cable TV and WiFi. There is a yard for the kids to play in as well. Additional pricing info: Multi week rentals will be accompanied with a $200.00 discount. Please discuss details with owner. State and local taxes of 12.45% will apply. Location, location, location! 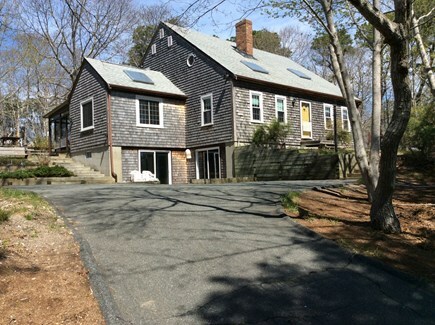 Easy access on/off Route 6, close to Gull Pond (our favorite Pond), close to Wellfleet town center, and easy access to Ocean View Drive! The street was quiet and the property was very private. 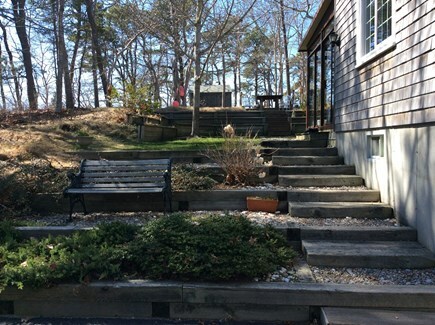 This Cape Gem is kept immaculate with a spacious floor plan and well equipped kitchen. Cannot thank our host Michael enough for his timely responses to all of my inquiries! This is a lovely home. 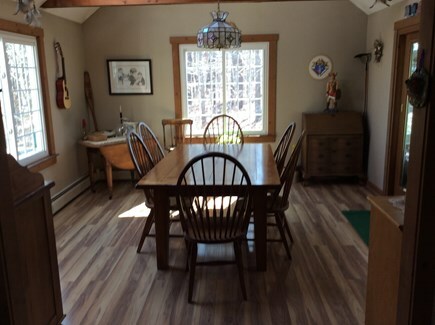 Best attributes: well-equipped kitchen, delightful screened porch and back yard, and easy, central location, close enough to town for a pleasant walk, and near to Newcomb Hollow and Gull Pond. 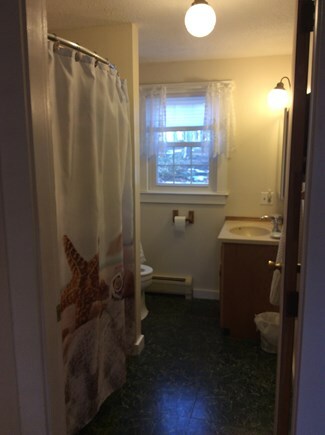 Plenty of space and nice, helpful owner. You will have a great vacation here. This is our second year staying at Michael's property, and my kids are begging to go back again next year already. I cannot overstate how terrific this house is -- perfectly clean and well-appointed. 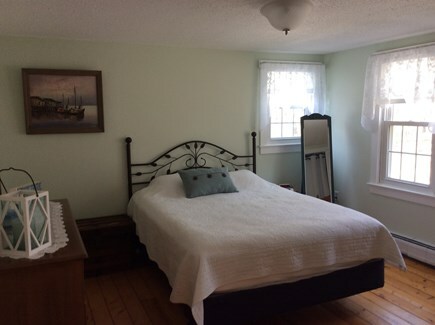 The home is comfortable and has a great location to get to anything around town. Michael is a terrific host and easy to reach with any questions or concerns. We certainly plan on returning. I cannot say enough both about the beautiful home, and the hosts! Michael was the most communicative, thoughtful, and kind host who went well above and beyond to make our stay amazing. 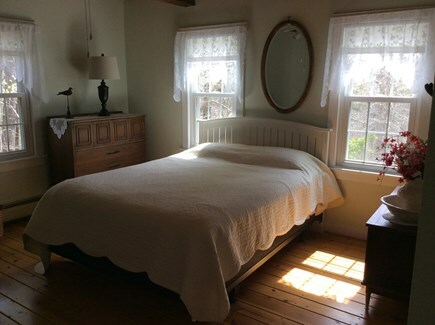 The house was impeccably clean, beautifully furnished and extremely comfortable. 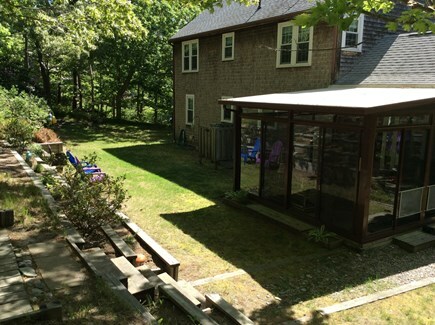 My two children loved the little play area upstairs, and greatly enjoyed the screened in porch every evening. The little touches Michael put in, such as leaving a well detailed guide to the area and clear instructions about trash/house issues made the experiences stress free and relaxing. We absolutely hope to come back as I cannot imagine a better host or house. I felt so strong I signed up to write this review!